Arbitrary management level (AML): The maximum number of wild horses that BLM declares the Western range can sustain — 26,715 — is a political construct. 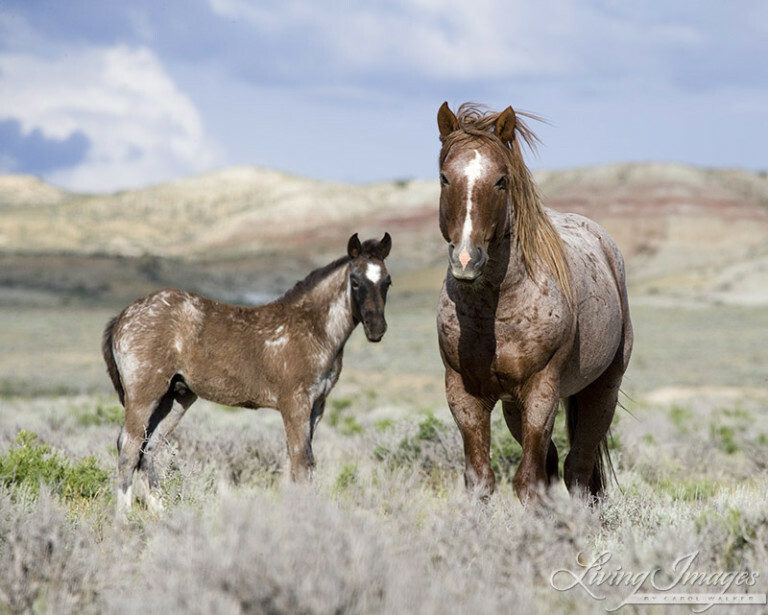 Per 49,349 square miles of wild-horse habitat, the upper bound of the AML establishes a maximum stocking density of 1 wild horse per 2 square miles! However, BLM manages down to the low bound of the AML — 16,310. That creates a stocking density of 1 wild horse per 3 square miles! Well who can you trust ? The BLM (what a joke) they are the biggest problem along with the Government supporters of the cruel ,corrupt and unethical who call themselves the BLM ..what a waste of our hard earned $$$. They waste more $$$ on there unjustified, inhumane helecoptor roundups , and cruel treatment of these wild horse’s than we can imagine. The people deserve the right to witness and protest against them and there insane roundups and tell the truth of what happens to these innocent horse’s. Overpopulation my eye, they are crazier than i thought. “How Appropriate Management Levels are established, monitored, and adjusted is not transparent to stakeholders, supported by scientific information, or amenable to adaptation with new information and environmental and social change.” Simply put, how can anyone prove that wild horses are overpopulated if AMLs are scientifically indefensible? This is only ONE of many examples of BLM’s corrupt mathematics. “Conclusion: The management of wild horses and burros would substantially benefit from improved accuracy in estimating population sizes and trends. This should be a priority for the BLM and its collaborators, given the importance of accurate population estimates to all aspects of wild horse and burro management.” (NAS 1991) BLM is engaged in management actions that are not based on a credible, accurate count of wild horses and burros. on the original Mesquite Local News article. The truth needs to be told to the public. Perhaps then a Congressional investigation of DOI/BLM would be done and the corruption exposed. This fall the entire House of Representatives are up for election or re-election. Every voter in every state should be asking politicians to make their opinions clear on the fate of America’s last wild horses and burros. Every one of us can make sure those running get information in hand, then follow up pressing them to put their positions into their campaign platforms. At least they cannot profess ignorance if they get elected and do nothing, or worse. BLM we know you are a liar.God help us to protect our horses and burros,and land.